Anthony Petti is one of Niagara's premier stylist. Anthony works out of his own salon which is located near the main entrance of Niagara Falls Casino and Resort, his salon offers the latest trends in hair care and styling. Anthony has been creating the latest looks for both local and out of town models for the last few years, and is always interested in helping new model's develop a unique look. Specializing in hair extensions and a expert in colouration Anthony can give your model portfolio that extra edge. Anthony Petti is a highly creative stylist. He is constantly updating his expertise by attending training sessions, product seminars and conventions from as far away as California, Florida, Milan, New York and Toronto. Due to this on-going training Anthony's product knowledge is second to none. Anthony prides himself in providing quality customer service while using the latest and most advance techniques in cutting and colouring. 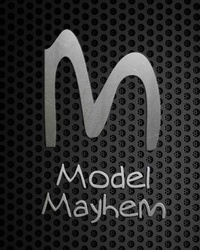 Anthony is interested in finding models to expand his on-line portfolio here on ModelMayhem. Worked with anvpettisalon? Share your experience and become verified! Successful and Happy New Year !! welcome to MM maybe i'll swing by to say hi next time im down in the falls or casino.